Embrace the ocean in an elegant way with a small shackle. Fine black shackle forged from the finest stainless steel. 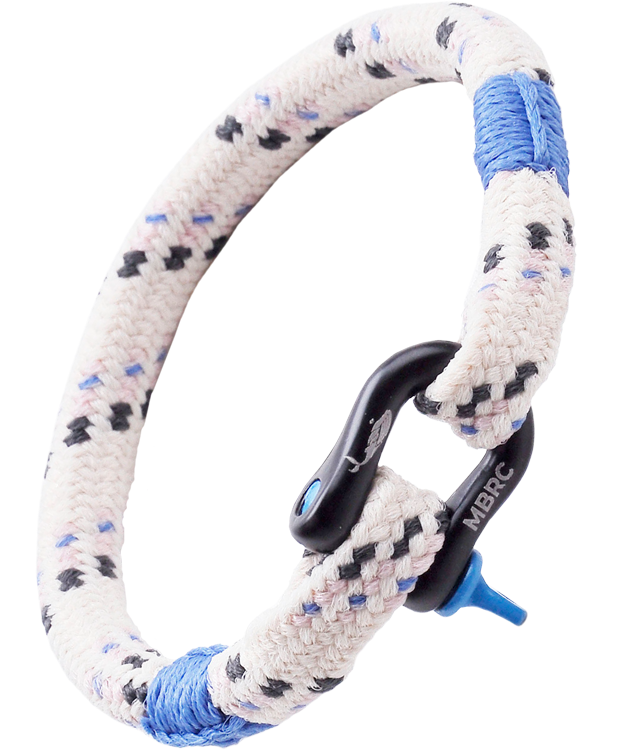 The rope colour combines cream white with a touch of blue, grey and pink. 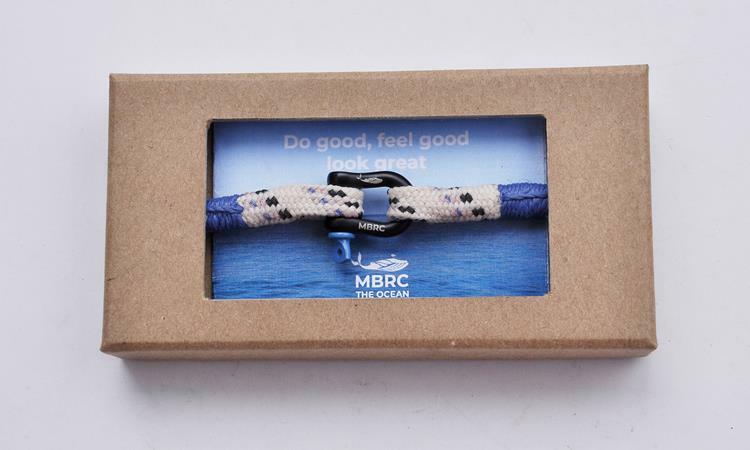 Every purchase is a direct support to our partner Plastic Soup Foundation for € 5,00.